Updated October 1, 2018. INSIDE HONORS 2018-2019 is now available. Please go to our Yes, We Have a Book Page if you are interested. There you can also find a list of all the programs included in the new book. Below are the highest-rated honors colleges and programs, according to INSIDE HONORS 2018-2019. It is very important to note that programs not listed below can still have 5 mortarboard ratings in one or more of thirteen rating categories. Many programs are roughly equivalent overall, but typically have highly significant differences in financial aid, and in category ratings (class size, range and type of honors courses, graduation rates, priority registration, honors dorms, etc.). 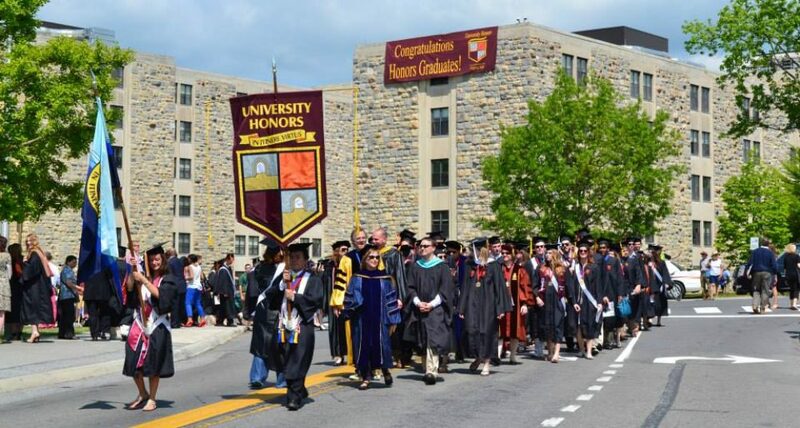 There are many outstanding public honors colleges and programs in all sections of the nation, and some of the best programs are in universities that are not ranked extremely high by U.S. News, making those programs strong “value-added” options. Clemson Calhoun Honors College; Delaware Honors Program; Georgia Honors Program; Houston Honors College; Illinois CHP Program; LSU Ogden Honors College; Mississippi, Sally McDonnell Barksdale Honors College; Nevada Reno Honors Program; NJIT Dorman Honors College; Oregon, Clark Honors College; Rutgers Honors College; Texas Tech Honors College; UCF, Burnett Honors College; and the Virginia Commonwealth University Honors College. FAU Wilkes, Nevada Reno, and the new Rutgers Honors College were not rated previously. Oregon’s Clark Honors College, Clemson’s Calhoun Honors College, University of Houston Honoros College, NJIT’s Honors College, and the Georgia Honors Program received 5.0 ratings in 2016. They are all excellent programs. This year’s 5.0 list is shorter because we rated fewer programs overall. That said, the profiles are longer, including more information about merit scholarships and experiential learning, the latter a growing trend in honors programs. That a program is include DOES NOT mean the program is among the “top programs in the country,” though many of them surely are. Each year we select a somewhat different group of programs to review. Since 2012, we have either ranked or rated more than 90 public university honors colleges or programs. (About two dozen programs have been ranked or rated in all four of our books.) After the 2012 edition, we began using ratings instead of rankings. It is not that our present methodology could not be used to rank programs–in fact, it is more in-depth than that used by other college rankings and ratings, given that its focus is on a relatively small number of programs.